Any English speaker attempting serious study of shogi knows the biggest issue involved. It’s language. Most of the primary source material that shogi masters study is still only published in Japanese. Those of us that take up the study of Japanese in an effort to overcome the language barrier learn very quickly, shogi has a unique vocabulary. 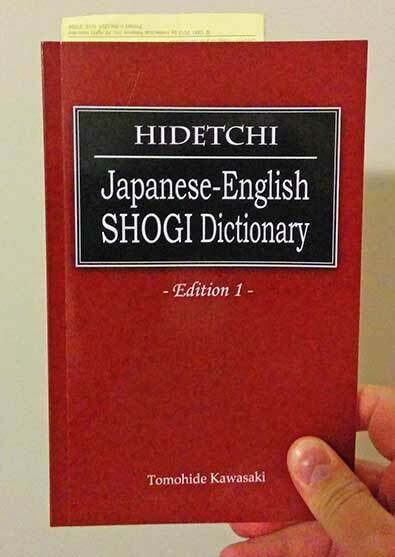 Shogi specific phrases don’t translate well with online translation engines, and Japanese-English dictionaries don’t have many of the shogi specific terms needed for reading Japanese shogi texts. Not only do we have to overcome the barrier of learning Japanese, but we also have to learn a specific niche of Japanese vocabulary that isn’t found in standard textbooks and dictionaries. First off, this seems like a good place to mention the kanji for shogi. If you go looking up shogi in a japanese dictionary, remember that in Japanese, the pronunciation is actually “shougi” not “shogi”. Shogi has been in English long enough that the “u” was dropped from the name. Now for the Japanese notation. Don’t let it scare you, but Japanese use kanji. This puts off westerners who get really scared by all those lines. (I wonder, is there a phobia name for this?) Notation for Japanese shogi game records is very similar to western game notations. First remember Japanese write two directions. Sometimes they write like in English, that would be from left to right and from top to bottom. Traditionally they write like Chinese, that would be from top to bottom and from right to left. Shogi game records usually are in the traditional top to bottom and from right to left.